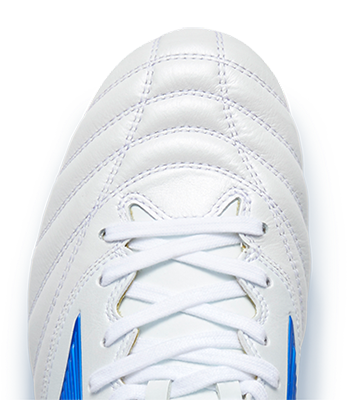 Designed for professionals, this football boot promises maximum flexibility and premium comfort. Toe overlays deliver durability and a superior lightweight fit, while the full-length gum outsole grips indoor surfaces and creates the ultimate low-to-the ground feeling. Superb lightweight fit for the ultimate low to the ground feeling. Grippy insock material that stops the foot from sliding inside the shoe.